Info As a San Mateo County Supervisor, Jerry Hill is a leader on the issues that matter to us most: health care, the local economy, the environment and transportation. Hill led the effort to expand health insurance coverage to every child in San Mateo County without raising taxes. Hill has helped foster a healthy local business climate for major employers in the county from Genetech, to Electronic Arts to Oracle. Sierra Club and California League of Conservation Voters. 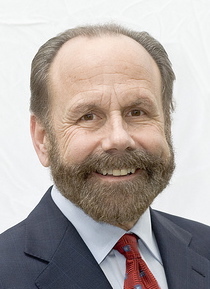 In addition to Hill's ten years on the County Board of Supervisors, he also served for seven years on the San Mateo City Council including one term as Mayor. Jerry Hill and his wife Sky live in San Mateo. He has one grown daughter. He owns a small pool cleaning business and has a teaching credential.